Hi! I have The Sims 3, some expansions and Monte Vista. I bought a computer with no CD drive, and installed my base game and expansion packs through the Origin library, but Monte Vista doesn' appear - it is shown as something I must buy. I already registered the code in the TheSims 3 website a while ago, and it is on my profile, but even on the website it appears as if I didn't have it. I don't know what to do, because I'm not gonna buy a new Monte Vista through Origin just so I can install it, and I can't register the code because it was already used. @bea_mezzomo When you check your purchase history, is Monte Vista listed there? (Click on Store > My Store Account > Purchase History.) If so, you should be able to download it from there directly, without having to use the product page. If you can't find it in your purchase history, or the store tries to make you buy it again, you'll need to contact EA customer support. Someone on that end should be able to re-add the world to your account, but there's no other way to reset it. Be sure to have the code on hand (even better if you have a confirmation email from the purchase, or a photo of the disc and insert with the code printed on it). It might also help if you could provide a screenshot with MV showing as owned, as in the first screenshot you attached here, but with your username visible as well. @bea_mezzomo I'm glad to hear you found Monte Vista without any extra trouble. The store can be a bit flaky at times, but there's usually a way to make it work. If you're asking about your username on the store site, then no, unfortunately there's no way to change it. 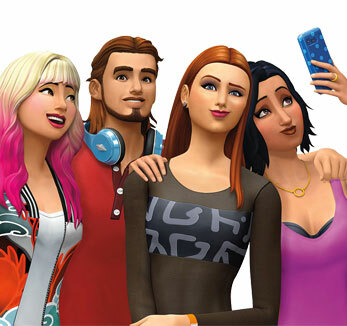 You can change the username you have here, or the one you use in Origin, or the one you have on the official Sims forums (if you use that site). But store/exchange names are apparently permanent.